I love Halloween costumes. 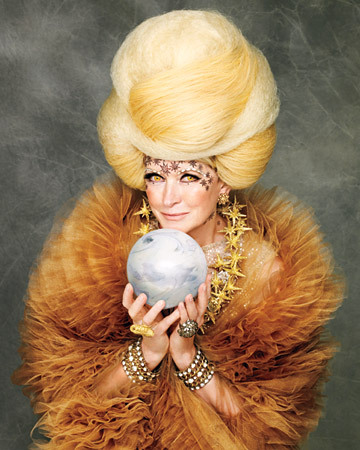 And I'll even admit that I love Martha Stewart's fantastical, creative takes on Halloween costumes. The only issue I ever buy of Martha Stewart Living, just to relish in the fantasy that this year I'll craft away my October weekends and throw together one helluva DIY costume. But let's get real. Most weekends it's all I can do to check off the "must do" errands and chores. And so, if I'm going to dress up for Halloween, I'm going to have to go store-bought or risk going yet again as a "punk rocker" or Janet Reno (better when I had short hair). But I refuse to do a fall-back again this year. Now that I live in a neighborhood with children aplenty, I vow to do better...even if it's just to scare them a wee bit when I open the door to hand out candy. 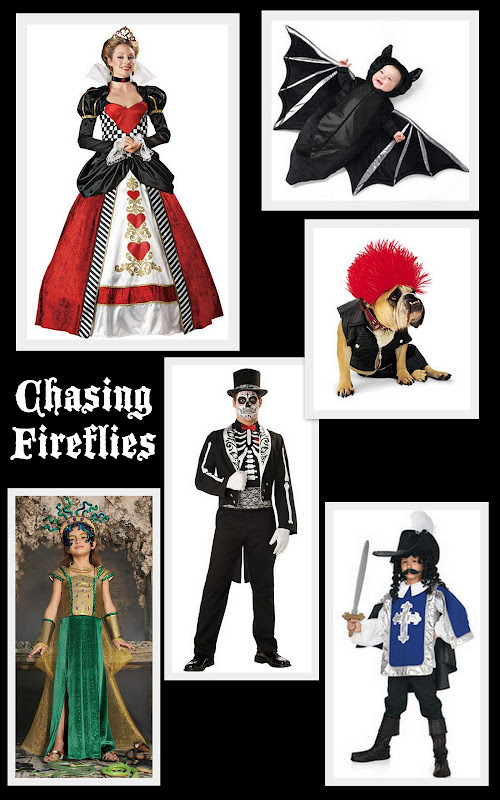 If you're willing and able to shell out a little more dough (which may be worthwhile if you're attending a full-fledged adult Halloween soiree or have children who practically live in dress-up clothes, as my sister and I did), might I suggest Chasing Fireflies? 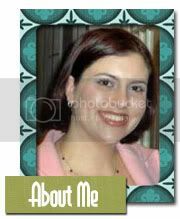 The children's site has the best selection of costumes -- for children, adults and pets, might I add -- that I've ever seen. I particularly love the array of historical and mythological costumes. In fact, if that Medusa outfit came in an adult version, I'd be all over it. P.S. - Have you ever noticed how dog costumes are so often modeled by bulldogs? Perhaps it's because a bulldog, let alone a bulldog in a tutu, is inherently funny. The candy corn costume has to be my fave. And I'm like you, I always fall back on old favorites like "80's girl" and "ladybug" and other gems that are easy to throw together in a pinch. Maybe some year I'll get it together in advance! Bulldogs and pugs rock all costumes. I just want to take that rocker bulldog home. Happy Weekend! I love dressing up for Halloween too! 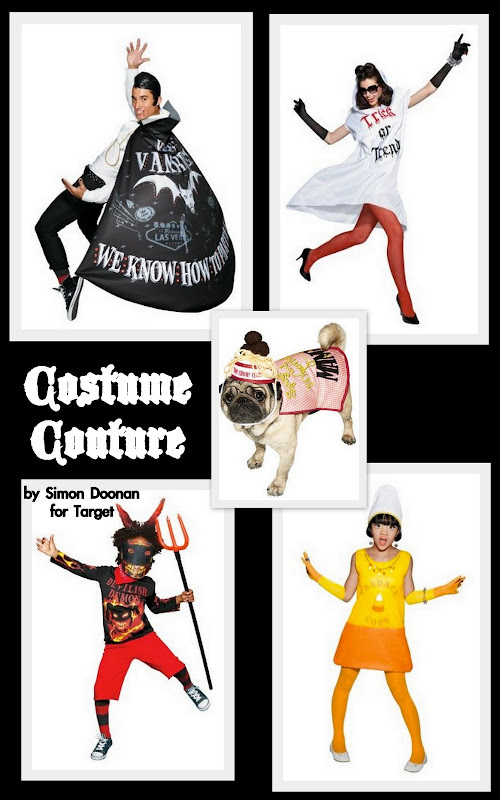 Simon D. & Target = brilliant. I love this time of year! I can't wait to see what you come up with!! Hope your feeling good and getting lots of extra sleep. but there isn't a matching costume for Cayden. so funny abt bulldogs and so true. have no idea what i am going to be...now you got me thinking. I always loved picking out costumes with my kids! Can't go wrong with a little Martha inspiration, her picks are always...dead on!!! I love that image of Martha - I saw it on the cover of her magazine in the grocery store. Yeah, bulldogs are cute, and bulldogs in costumes are even more cute! Last year the Mr. and I dressed up as Ron Burgundy and Veronica Corningstone. Sadly, I couldn't find a straight blonde wig, so I got a curly one instead. Result: I looked like a small-boobed Dolly Parton from "Nine to Five". This year I'll leave the costume-wearing to Junior, who will be a dragon. Pottery Barn Kids has adorable costumes, but spending $49 on a 3 month old's costume seemed a little silly.